Welcome back everybody! The History of Personal Computing podcast has been rebooted to continue educating everyone (including your hosts) about the who, what, when, where, why, and how of personal computing. In this new iteration, the ROM chip called David Greelish has been swapped with an FPGA configured replacement called Todd George. The other ROM chip in this computing platform, Jeff Salzman, is still here, but he’s old and made of ceramic, so he’s a bit more fragile. Nifty, eh? And it only cost $5000 for our contracted ad agency, Dewey, Cheatum, and Howe, to come up with that name! In this series, Jeff and Todd are focusing on more obscure systems that were used for personal computing. Very little will be discussed in future episodes about more popular computing systems, except in passing, for reference, or unless we uncover interesting information about those systems. Starting off the new series is the UK creation called the Grundy Newbrain, which not only happens to be a full computing platform comparable to others of the day, but is also portable. So sit back, or drive along, or sit back and drive along while listening to the new host, along with the old medicine infused re-tread who just happened to be going through a bout of the flu at recording time. 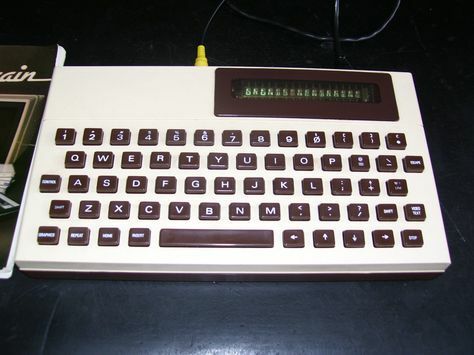 Episode 1 – The NEW History of Personal Computing – Grundy NewBrain was posted on Monday, April 8th, 2019 at 7:38 am. This post is tagged and is filed under . You can follow the replies through the comments feed. Pings are closed but you can Leave a comment! A Blueberryware theme › 34 queries in 0.353 seconds.